Lake Erie anglers should look forward to a good fishing year thanks to its species diversity, according to biologists with the Ohio Department of Natural Resources' (ODNR) Division of Wildlife. 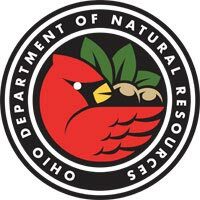 "When you consider the mix of species and sizes that are seasonally available to Ohio anglers, we are optimistic about the fishing prospects this year," said Roger Knight, Lake Erie fisheries program manager for the Division of Wildlife. "Weather and water conditions are always wild cards in Lake Erie, but anglers have excellent seasonal opportunities to catch walleye, yellow perch, smallmouth bass, white bass and steelhead." Lake Erie walleye and yellow perch fisheries are managed through an interagency quota system that involves Ontario, Michigan, Pennsylvania, New York and Ohio jurisdictions. Each jurisdiction regulates their catches to comply with their agency's quotas and minimize the risk of over-fishing these species. Quotas and regulations for the upcoming fishing season are determined through consensus agreement by these jurisdictions through the Lake Erie Committee (LEC) of the Great Lakes Fishery Commission, which were recently announced for 2012. Ohio's walleye and yellow perch daily bag limits were set after the March 23 LEC quota announcement, and will go into effect May 1. As a result of the 2012 quota allocation, the walleye daily bag limit will be six fish from May 1, 2012 to Feb. 28, 2013, and four fish from March 1, 2013, to April 30, 2013. A 15-inch minimum size limit is in effect during the entire season. The daily bag limit for walleye remains four fish per person during April 2012. As a result of the 2012 quota allocation, the yellow perch daily bag limit will be 30 perch per angler in all Ohio waters from May 1, 2012 to April 30, 2013. There is no minimum size limit on yellow perch. Lake Erie anglers can find walleye and yellow perch bag limit information at ODNR offices, in special publications at bait and tackle shops and on the website at wildohio.com. Lake Erie anglers have great access to fishing in the Western and Central basins due to the numerous public boat ramps, private marinas and shoreline access areas. They also benefit from having the largest charter boat industry in the Great Lakes. Ohio walleye anglers will catch fish mostly from the 2010, 2007 and 2003 hatches, with some contributions from the 2001, 2005 and 1999 hatches. Walleye from the 2010 hatch showed exceptional growth based on 2011 fall surveys, and many individuals will be near or over the 15 inches minimum size limit during the 2012 fishing season. Walleye from the moderate 2007 hatch will range from 17-25 inches long and will complement the larger 22 to 30-inch fish from the strong 2003 hatch as the major contributors to the Ohio catch. Fish from the fair 2005 hatch should be in the 19 to 27-inch range. Large walleye from strong hatches in the mid-1990s still persist in the population, providing "Fish Ohio" award (greater than 28 inches) opportunities. Perch anglers should encounter fish ranging from 7 to 13-inches from the 2008 through 2005 hatches in this year's fishery, with the 2007 year class being the most abundant. Fish from the large 2003 year class are still present and will provide some of this year's trophy opportunities. Lake wide, yellow perch numbers should be similar to levels observed in 2011 in the Western and Central basins. Smallmouth bass fishing in 2011 is expected to be fair. Although bass abundance remains below desired levels, those caught should be of excellent size (14 to 22 inches, weighing two to six pounds). Smallmouth bass can live up to 17 years, with year classes from the mid to late 1990's still providing trophy opportunities. Bass fishing is best in areas with good bottom structure, which is available across much of the entire Ohio area near shore. A closed season remains in effect from May 1 through June 29, during which all black bass (smallmouth and largemouth) must be immediately released. Beginning June 30, the daily bag limit for bass will be five fish, with a 14-inch minimum length limit. Steelhead anglers should enjoy another year of great fishing in Ohio's Lake Erie open waters and in tributaries throughout the fall, winter and spring months. Peak summer steelhead action on Lake Erie can be found offshore from June through August between Vermilion and Conneaut, with catches measuring 17 to 29 inches. Most Lake Erie anglers troll for steelhead in deep waters using spoons with dipsy divers or downriggers until fish move close to shore in the fall. The daily bag limit remains at five fish per person from May 16 to Aug. 31, and two fish per angler between Sept. 1 and May 15, with a 12-inch minimum size limit throughout the year. White bass will continue to provide excellent seasonal fishing opportunities in the Maumee and Sandusky rivers and in the open lake. The catch will be dominated by fish from the 2007 year class, with 2009, 2006 and 2005 also contributing. Fish from 2003 will also be caught and could be as large as 16 inches. Anglers should focus on major Western Basin tributaries during May and June and near shore areas of the open lake during summer months. There is no daily bag or size limit on white bass. Anglers are also advised of numerous fishing opportunities in the bays and harbors on the Ohio shoreline. These inlets offer excellent fishing for panfish including crappie and bluegill, as well as largemouth bass. In early spring, anglers may also catch an occasional northern pike or muskellunge in vegetated areas. Anglers are reminded that fishing conditions on Lake Erie can change hourly and adjustments are often necessary to improve success. Anglers should take into account factors such as water temperature, cloud cover, water clarity, boat traffic, wave action, structure, currents and the amount of baitfish in the area. Anglers are also reminded to carefully monitor Lake Erie weather and to seek safe harbor before storms approach.